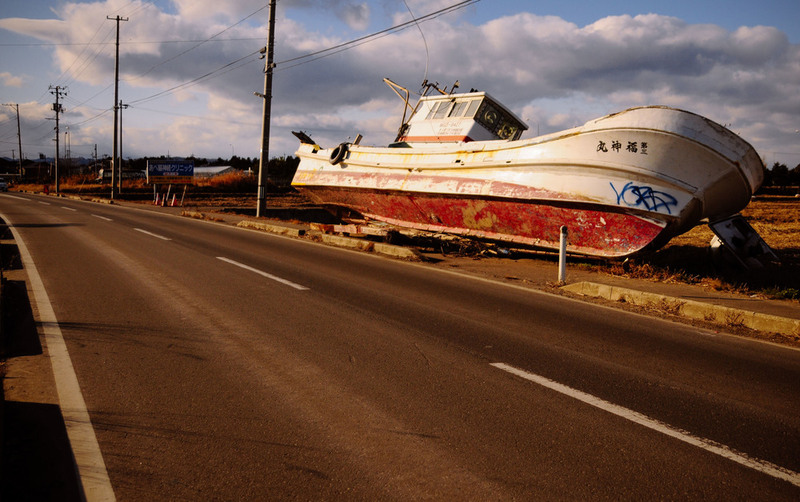 Boat rests about 2 Km inland nine months after a tsunami devastated the coastal city of Sendai. 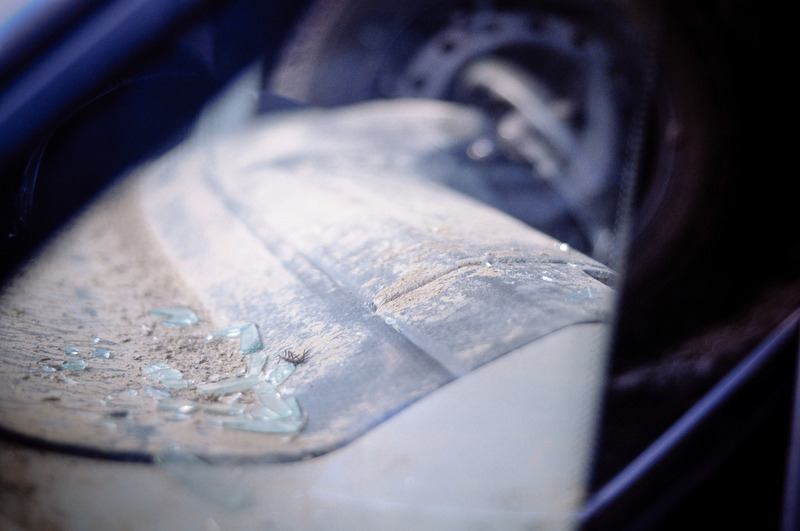 In a junk yard, cars washed by the powerful tsunami waves lay virtually untouched after the disaster. Months after the ocean's waves washed away everything, excavators clean the debris. 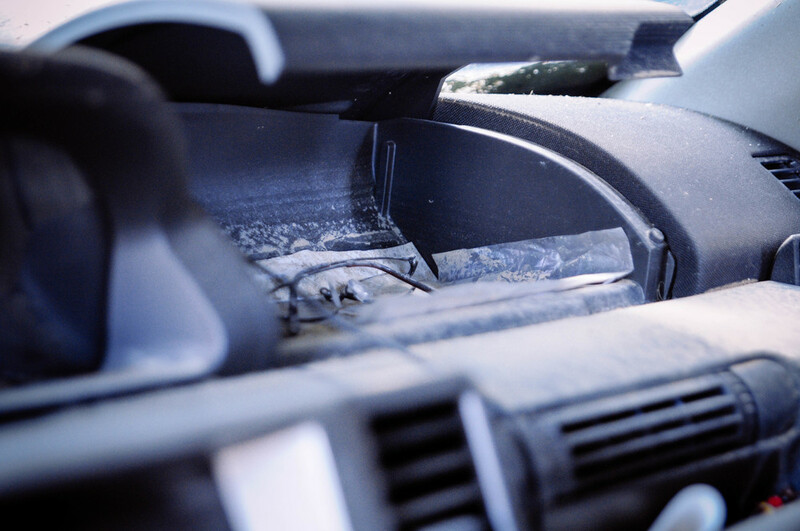 Personal belongings left behind in cars could still be seen. A temple was the only construction in the area to have survived the Tsunami. The roads were cleaned, the tarmac redone, but the destruction could still be seen for many kilometers. Workers gather human bone pieces and items that used to be buried at a cemetery outside the temple, destroyed by the tsunami waters. 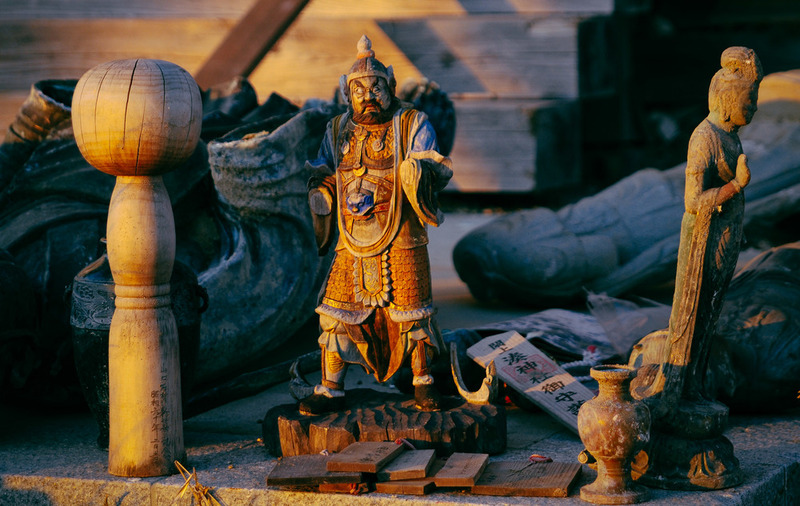 Items gathered from the temple and graves are set aside to later be analyzed and placed back where they belonged. The sun starts to set and the cold gets more intense. Even with the light snow, the workers don't stop. 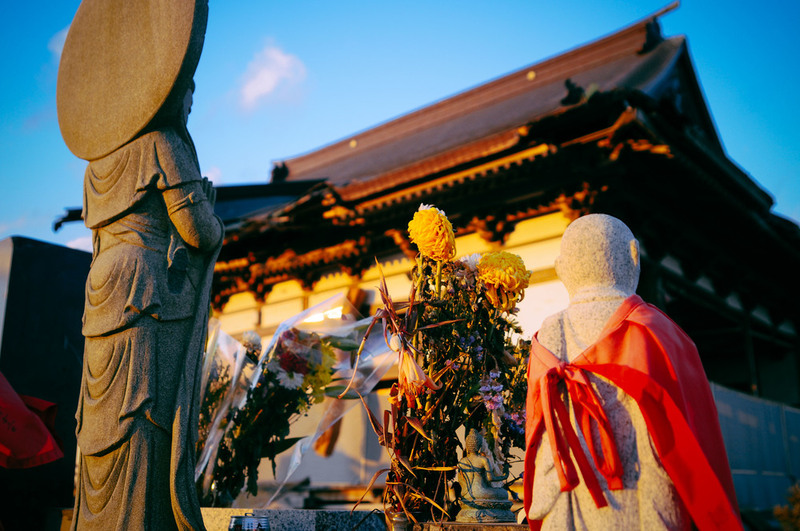 Statues that survived the tsunami rest behind the temple. Just one kilometer away from the sea, excavators restlessly work into the night to rebuild the city of Sendai.